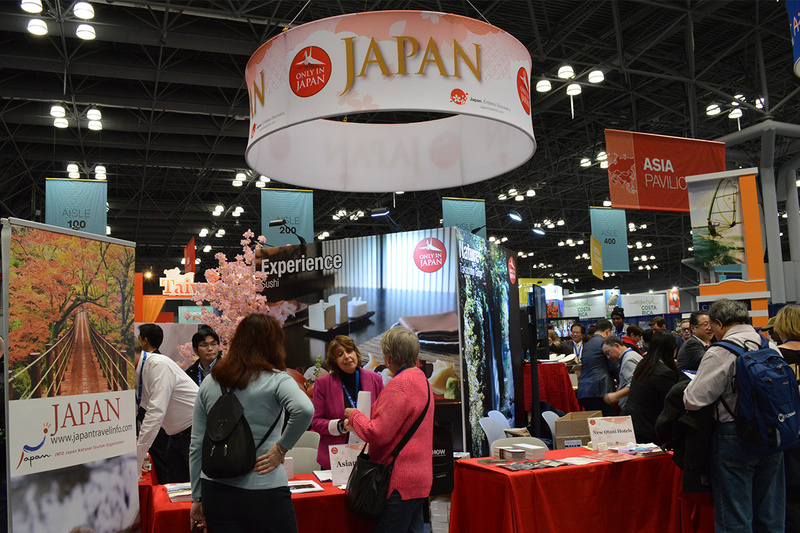 At the NY Travel Show there were various other countries that made appearances on this special event. The Japan National Tourism Organization, had a red and white circular booth decorated with their national flower, the cherry blossom. This year, Japan is promoting tourism to the Ishikawa region, located at the west of Japan, 2 ½ hours from Tokyo. The region has a rich history dating back to the samurai age and historic castles that were recently restored. They are also promoting tourism to Sumida City Point to show Tokyo’s traditional craftsmanship while also promoting tourism to various other regions such as Kurashiki located near Osaka at the Okayama Prefecture, Yamanashi located at the center of Japan, Tohoku, Shinjuku, and Shoryudo. Each promoted the antiquity of Japanese architecture, traditional art and craftsmanship, the natural scenic beauty, and the regional festivities which is intriguing to anyone who loves exploring a nation’s culture. They are also promoting new products and services such as J-Speak. J-Speak is a new translation app that can accurately translate English phrases to Japanese with the Japanese writing, which is convenient for any traveler who may not be familiar with the Japanese language. There are also promotions from Japan’s popular Prince Hotels as well as the Seifuku hotel, each promoting regional architectural styles ranging from modern to traditional and local cuisine to bring the best comfort and service to its customers. The ANA airlines, known for its priorities in security, reliability and comfort, also made an appearance, promoting new seats, entertainment, and personalized services in its Boeing 777-200ER and Boeing 787-8. 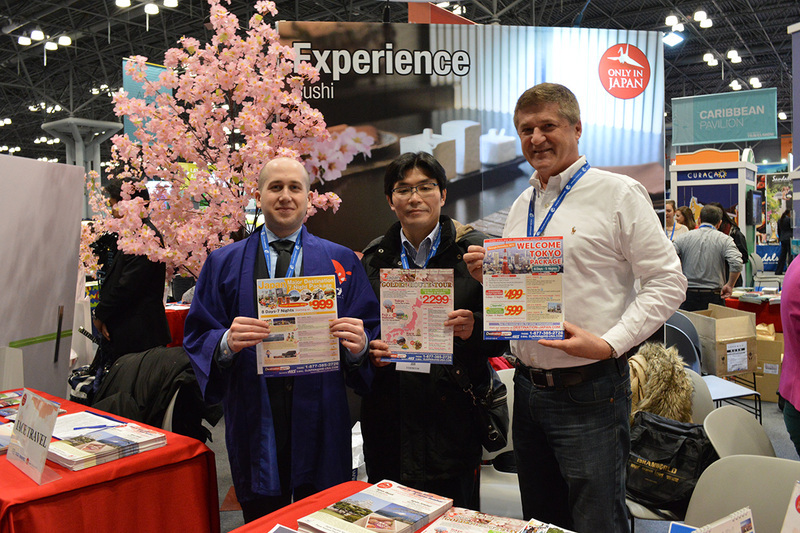 Plus a new tourism company called Triple Lights, made an appearance promoting its high quality services to tourists. Noting the troubles people have when booking travel to Japan, Naoaki Hashimoto, the CEO of TripleLights, created the company two years ago, to deliver professional bilingual tour guides that can show travelers Japan’s finest. On the company’s website, tourists have a chance to choose a tour guide and regions they want to visit before they go to Japan. With special affordable group packages, tourists are able to visit historical places, historic landmarks, participate in cultural events, and enjoy the finest of Japanese cuisine. This service is highly recommended for anyone who doesn’t travel often and wants to visit Japan’s finest at an affordable price without getting lost. As a bonus, there were also free giveaways and a dress up booth for visitors. 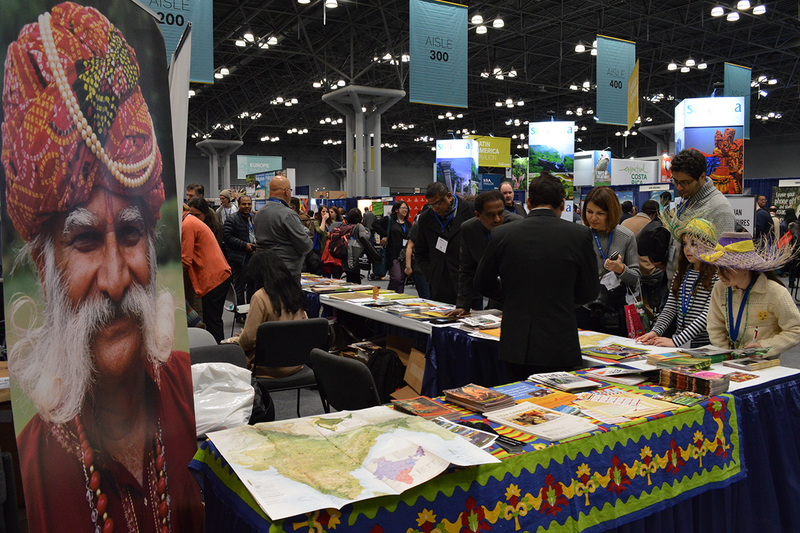 Odisha also made an appearance with a large elaborate booth, promoting Odisha to become a state in India. Situated at the eastern sea board of the Indian peninsula and surrounded by the Bay of Bengal in the east, West Bengal and Jharkand in the north, Chhattisgarh in the west and Telengana in the south, Odisha is an attractive destination for anyone looking for a change in pace. Odisha is rich in culture, history, and cuisine. With ancient temples such as the Lingaraj Temple and Rajarani Temple, dating back to 11th century A.D, tourists are able to take a glimpse of the ancient architecture and the ancient art of the Odian people. For anyone interested in history and religion, Odisha also offers tours at the Diamond Triangle of Odisha, which contains the unearthed remains of Buddhist monasteries, rock-cut votive stupas, and unique Buddha images. For animal lovers, there are also wildlife sanctuaries such as the Similipal National Park and the Chilika Lake, where visitors are able to view the beautiful tropical forests, mountains, and diverse wildlife. Tourists would also be able to explore the diversity that exists within Odisha. There are about 62 distinct tribal groups such as the Bondas, Santhalas, Mundas, Koyas, Sauras, Juangas, Ho, Gondas, and Gadabas. Visitors can explore each tribes’ unique music, art, festivities, and traditions. 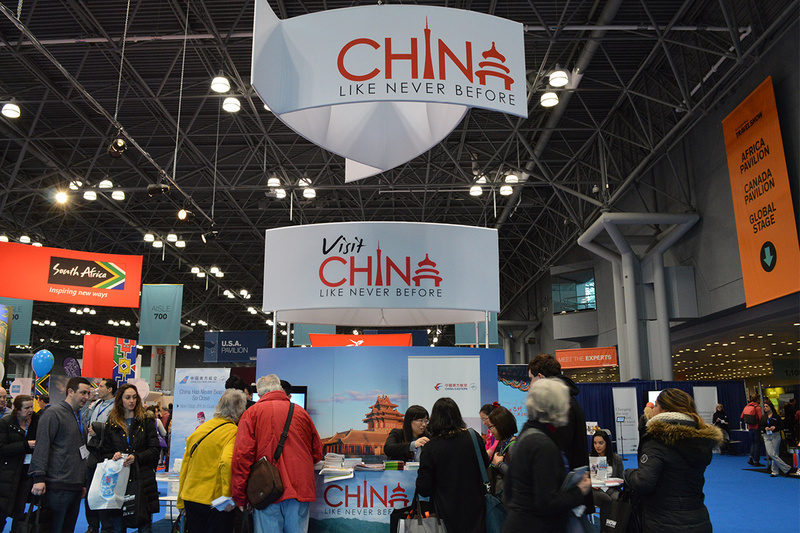 China also made a big appearance in the NY Travel show with various agencies offering cross country traveling though mainland China such as Chinatour.com, where tourists can visit Shanghai, Beijing and other provinces within China, allowing tourist to explore the diversity in regional cultures and traditions. President Cruises also made an appearance with its new President Prime 7 and President Prime 8. Designed by an international ship designer, it features the latest floating deck technology, double hull and bottom for extra security, a grand theater, a large thermostatic swimming pool, luxury rooms with individual overlooking balconies, and a creative star observation room. Providing everything from 5 star luxury bedrooms to extravagant cuisine and entertainment, the cruise also provides sightseeing passing through the Yangtze River to the 3 Gorges Dam. Visitors are also able to visit the Shennong Stream and Chongqing Fengdu, meeting with the locals and exploring traditional art of the Gorges people. 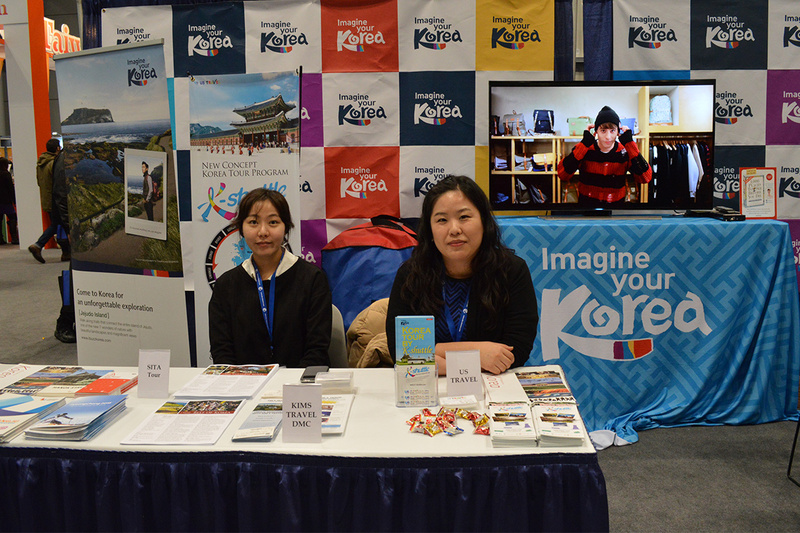 The Korean Tourism Organization also made an appearance, advertising the latest in hospitality services and the preparations being made for the Winter Olympics 2018 at Pyeongchang, South Korea. They are also promoting tourism at Gyeongsangbuk-do, a treasure house of world heritage. Located near the East Sea, there are various modes of transportation such as the Korean Train Express, highways, and airlines to be able to explore the vast expansion of Gyeongsangbuk-do. There are tours of the South Korea’s historical areas such as the thousand year old Jikjisa temple, the Gwanbong seated figure of Stone Buddha, and Wolyeonggyo Bridge, the 387m bridge known as the longest in the world. South Korea also offers everything for a wide variety of interests. For nature lovers, there are national parks such as the Gayasan Mountain, Songnisan Mountain, and Geumosan Mountain. For people who love festivities, about every month has a celebration such as the Snow Crab festival in March and the Goryeong Daegaya Experience Festival. There are also cultural tours and temple stays for people who are interested in the Confucius or Buddhist history and learning experience to the famous Ohang National Lighthouse Museum, Pohang Posco Museum, and Gyeongju/ Uljin Nuclear Powerplant, to name a few. For anyone stopping South Korea for the Olympics, travelers should also explore the rest of South Korea’s authentic culture and natural beauty. Incredible India is offering travel in style. With luxuriously designed trains, tourists can ride in comfort and style while visiting India’s famous cities Jaipur, Bharatpur, Jodhpur, Jaisamler, Chittogarh, Udaipur, and Agra. Filled with historic sightseeing, elephant rides, and performances, tourists are sure to have a wonderful time. Apart from its luxury trains, The India Tourism also offered different tour packages across India ranging from historic sightseeing to cultural tours where tourists can ride in canoes, have a safari, and explore the local life of the people. 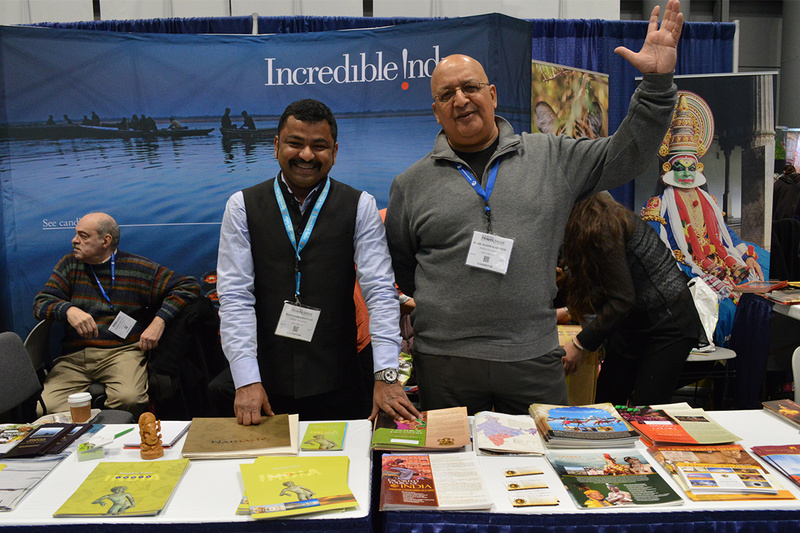 They were also very generous and gave visitors music cd’s with India’s traditional music and large colorful guides. The Indonesian Consulate General and Wonderful Indonesia made an appearance together also promoting cultural tours of their country with dancers dressed in tradition Indonesian clothing. Singapore Airlines Vacations also made an appearance promoting tourism to popular cities in Indonesia, Cambodia, Vietnam, and Laos in celebration of their 50th anniversary, for an affordable tour package starting from $899. 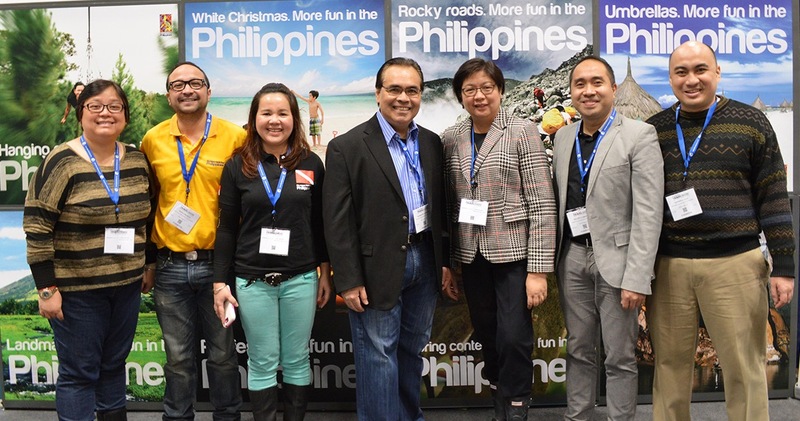 The Philippines Department of Tourism, Sri Lanka Tourism Promotion Bureau, Tourism Authority of Thailand, Tourism Malaysia, Tourist Agency Visit Georgia also made an appearance promoting their countries cultural diversity and scenic beauty. Apart from the special tours each country is offering, there were also many promotions from individual agencies such as Affordable Asia, Pacific Asia Travel Association, Pacific Delight Tours, and Amega Travel and Trading Company, offering affordable travel packages to visit various cities in Southeast Asia, allowing travelers to view each country’s unique landscapes and culture in Nepal, India, Tibet, Vietnam, Laos, Cambodia, and Myanmar. Great Dane Journey, Buffalo Tours, and Champion Holidays, are also dedicated in offering the best traveling experiencing by a different modes of transportation: cruise and railroad. By offering also offering comprehensive tours and sightseeing in both Southeast Asia and East Asia, it allows tourists to visit many countries all at once without having to book at various hotels or staying too long at each country. For travelers who want a change of pace from the metropolis Tokyo or bustling Dehli, the Blue Silk Travel agency would be worth checking. Being the only U.S Company that focuses exclusively on tourism to Mongolia, it is gives an in depth tour of Mongolia’s culture. As am official U.S. representative of the Mongolian State Academic Theater of Opera and Ballet, the country’s premier performing arts institution, tourists would be able to access Ulaanbaatar’s best concerts, museums and art. Tourists can also create a custom tour pacakge and visit the remote monasteries, nomads, and scenic nature, creating a full immersion into Mongolia’s culture. New Tang Dynasty Television also made an appearance promoting the first Asian American television news broadcasting news and culture from China to Asian Americans here in the U.S. Created in 2002, mainstream media didn’t provide much news from Asia in general, hence the Chinese Americans founded the New Tang Dynasty to create an uncensored information network between the East and the West. 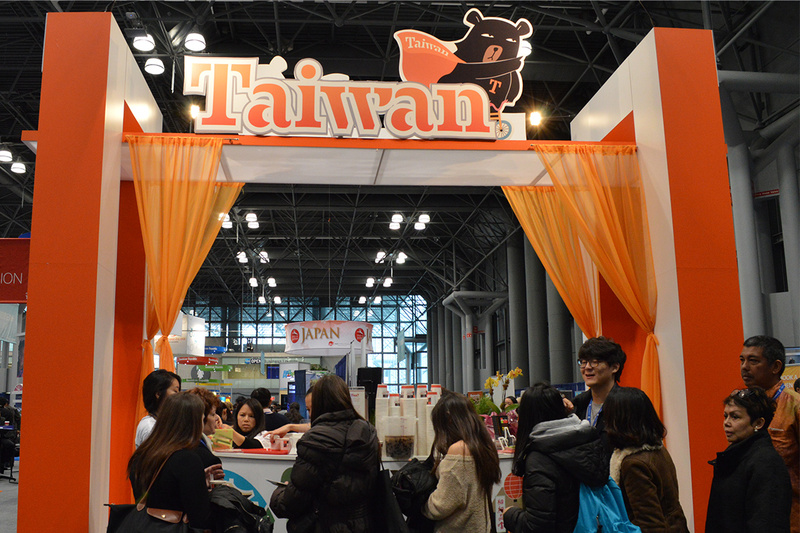 Headquartered in NYC, NTD television serves more than 100 million viewers in China and around the world. Directly broadcasting in parts of mainland China by satellite, the NTD is dedicated in providing uncensored news from China in both the Mandarin Chinese with English subtitles and in English on the web. 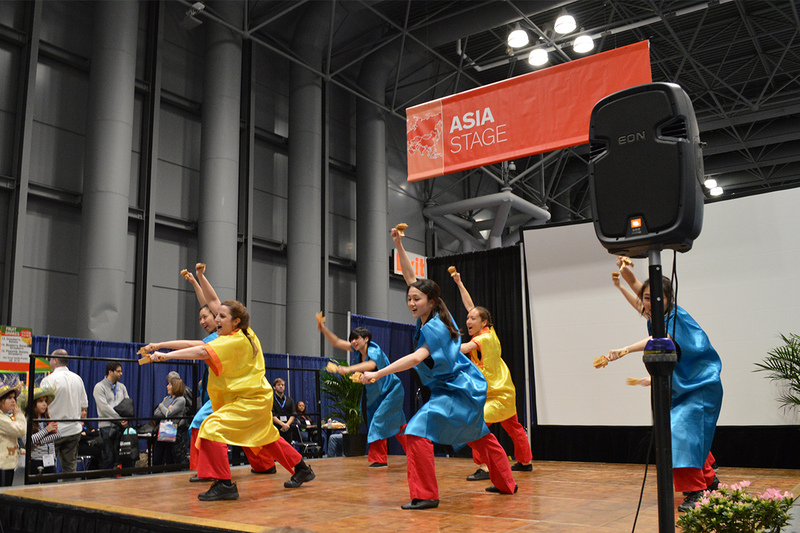 In addition to news, they promote the latest in traditional Chinese arts and culture in a variety of shows in either English or in Mandarin Chinese, giving non-Chinese speakers a chance to immerse in the world of Chinese culture and giving Asians and Asian Americans in the U.S, a television channel where they can learn about their heritage. New Tang Dynasty’s overall mission is to provide an understanding between the East and West while promoting its culture and providing uncensored news. Overall, the experience was overwhelmingly exciting as there were hundreds of other countries to discover as well as many tempting travel deals in every corner I went. 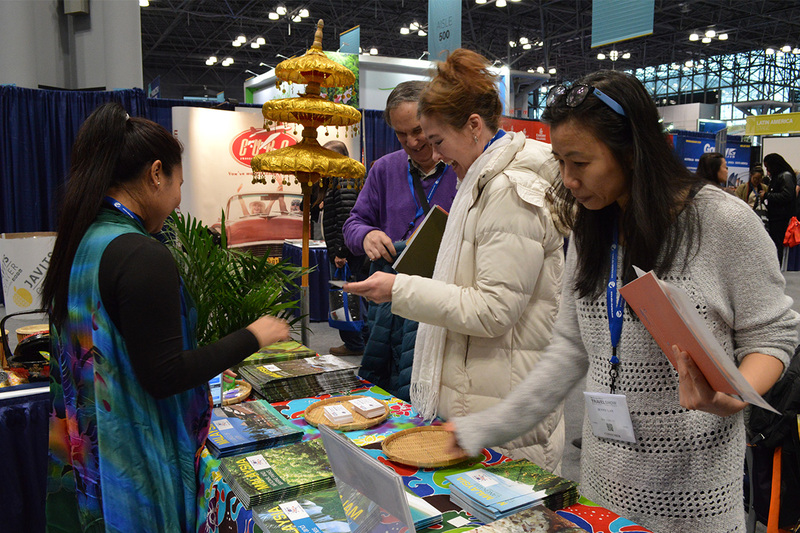 The atmosphere was lively and I would encourage anyone who loves roaming and in immersing into culture to definitely visit this expo for a quick trip around the world and to find the right travel package for you.